Creative Commons licenses do not affect the status of a work that is in the public domain under applicable law, because our licenses only apply to works that are protected by copyright. For more information, see our Licensing Guide to what you should know before you license a work using CC licenses. Find out more about CC's public domain tools, and learn more about Public Domain. 1 When does a work enter the public domain? When does a work enter the public domain? This varies by country. To see when a work in the United States enters the public domain see copyright.gov's public domain page. Cornell University has also provided a handy table about copyright term and the public domain in the United States. 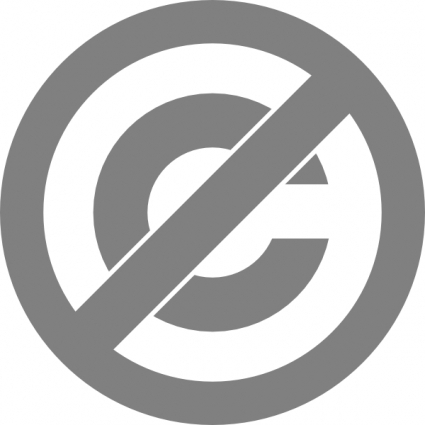 CC0 (occasionally written as CC Zero) is a public domain dedication that allows copyright holders to place works in the public domain to the extent legally possible, worldwide. CC's Public Domain Mark allows anyone to mark a work that is already free of copyright restrictions around the world. See http://creativecommons.org/publicdomain for more information on CC's public domain tools. Public domain content in practice is any content without copyright. It may be freed from restrictions by the copyright, or the copyright may lapse after a certain time. The details in practice vary between countries. More information about public domain can be found at Wikipedia's article on the public domain. Appropedia's Public Domain Search was started in late 2007 when it was discovered there was no effective public available. This operates on a completely different method to searches using the Creative Commons marks. It uses a manually maintained index of known sites to be public domain - thus it is does not yield 100% public results, and content must be checked to confirm public domain status. Reliability is expected to improve and feedback by users is encouraged . As CC public domain tools become widely used, searches based on the CC marks would be expected to a take over from Appropedia's Public Domain Search. This page was last edited on 2 December 2013, at 08:20.